Choose the product you'd like from our refill options. 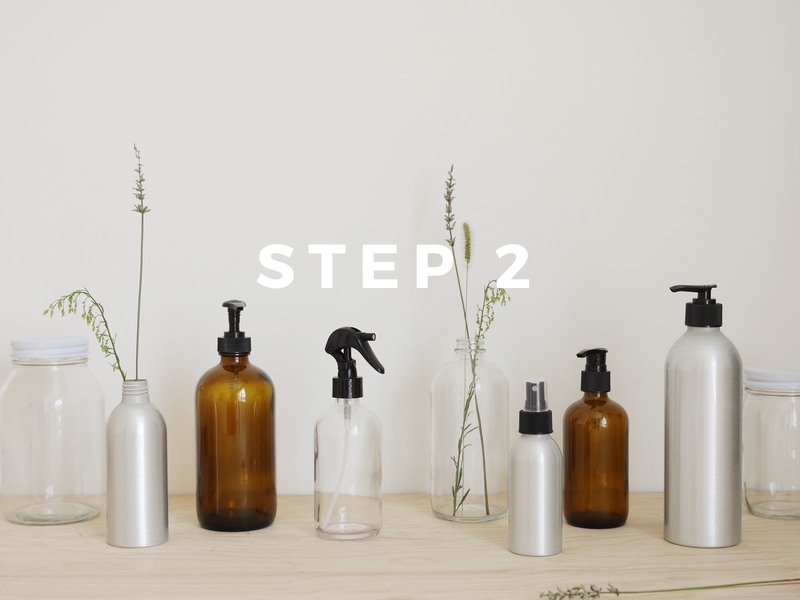 All our refill products are natural, cruelty-free, made with organic ingredients and sustainably sourced. Under each product you will see the option to fill either a refill pouch or one of our recommended containers. If it is your first order, we'll fill the bottle you select and add a label for easy identification. 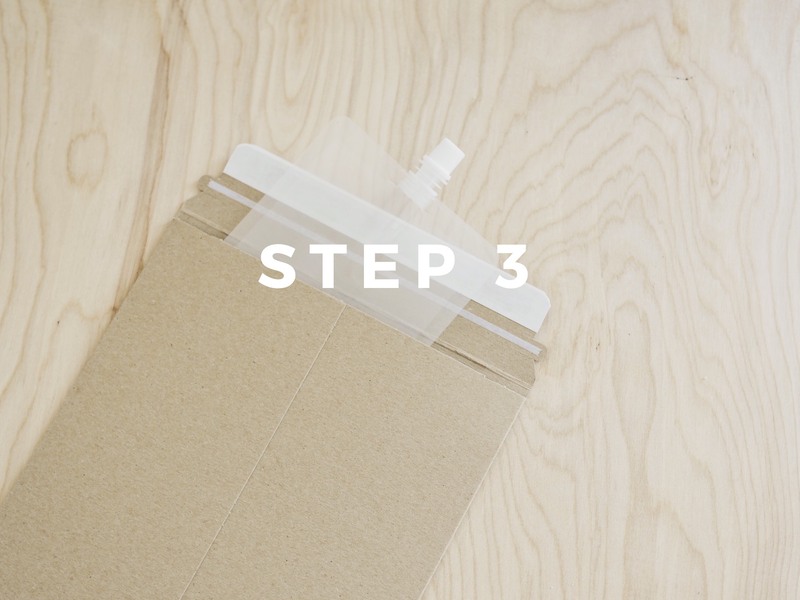 Once you have received your order, empty the contents of the pouch into your container. Place the empty pouch into the pre-paid envelope that came with your order and mail it back to us. This allows us to clean, sanitize and refill the pouch for the next customer, making your order completely zero waste! How can I label my own bottles? We recommend our China Wax Pencils! They are water resistant but can be wiped off with a cloth and a little elbow grease when you wish to re-label them again! If you select a bottle with your first refill order we'll label it for you for easy identification. What if I’m filling my own bottle from home and I don’t know the size? 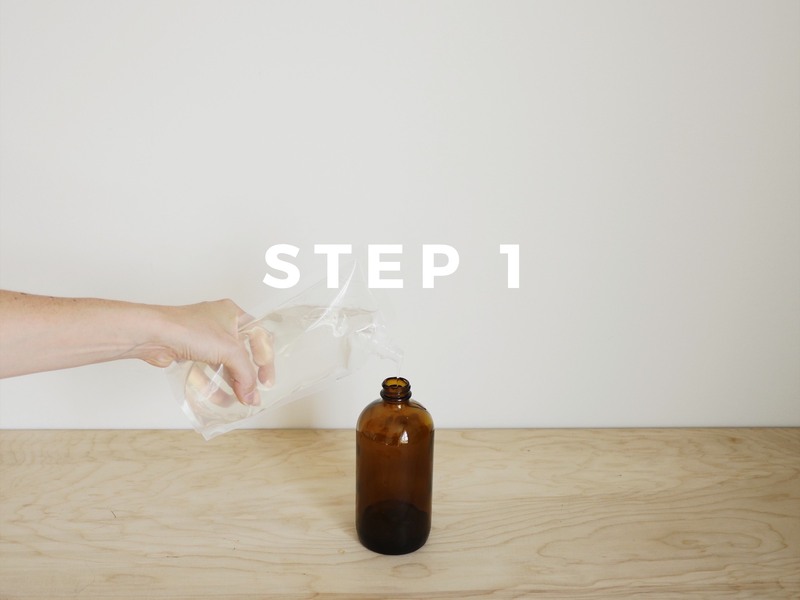 Most cosmetic or cleaning bottles are anywhere from 10-16 fluid ounces. When in doubt, you can always purchase a larger pouch and store the extra in a mason jar! But aren’t you trying to reduce plastic? Why plastic pouches? Our liquid refill products are mailed in BPA-free plastic pouches. Not only are they 93% less plastic than a plastic bottle but you will also receive an envelope that includes pre-paid postage so you can mail us your empty pouches back for us to clean and re-fill again and again. Our dry refill products are mailed in compostable and recyclable paper bags made from 100% recycled paper.